Don Quixote & his horse Rocinante. 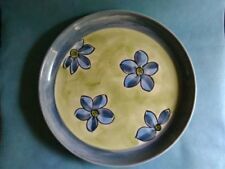 Blue & White Hand Painted Spanish Decorative Wall Plate. Size 27” dia. Here is a lovely POLISH BOLESLAWIEC POTTERY HANGING CHEESE CHOPPING BOARD. Vintage Cafe de Paris Richard Gimore Italy 321 Cup and Saucer Rare . Condition is Used. Dispatched with Royal Mail 2nd Class. Measures: Saucer 14.5cm. Cup 11cm across including handle. 6cm high. Base stamped. Thick pottery, no cracks. Bit of rub to cockerel on cup, please see photos. Smoke free home. Ceramic Sun and Moon Small Plaques,9.5cm max. Made in Portugal. Here is a colourful pair of small ceramic plaques of the Sun and the Moon. The Sun’s colours range from bright yellow to flaming red and the Moon is from a cool pink, through to yellow then onto a deeper purple, signifying night. This SIA vase was made using a unique and original glazing technique which created horizontal bands of a rich cobalt blue colour in combination with vertical white lines. Any other white marks seen in the photos are due to light reflection only. Irene Gourrier, Larche Pottery, France, two wall vase / sconce. Good Condition. Irene Gourrier, Larche Pottery, France, wall vase / sconce. Good Condition. Good quality. Two wall vases made by the French studio pottery Larche Poterie. One one of these has been signed by the French pottery artist Irene Gourrier, but she has potentially made both. I do not know the exact age of the items. The approximate dimensions are:- Height 26.0 cm, depth 8.0 cm, width 11.5 cm. Excellent Traditional Greek G. Dizou Hand Painted Wall Plate. Lovely Example. Traditional Floral Design. Item location UK. With a wonderful hand painted man riding a donkey and flowers and curls, this is a great piece of Italian ceramics. It has an unusual raised base and still holds more than 1 pint. Marked on base With hand painted mark, B3321 DERUTA MADE IN ITALY. Excellent German Studio Pottery. Lovely Example from Wahlstedt. Unusual Crimped Rim. Item location UK. Stands approx 8” in height. In excellent condition no chips or cracks. Italian ZAMPIVA Figure - Courting Couple. 6 Inches Tall. Condition is Immaculate . Dispatched with Royal Mail 2nd Class signed for. Botijo - Water Jug. Weight approx. Truly one of the golden eras of pottery. It is very distinctive in both shape and colour with the most famous style being 'Fat Lava'. ES Keramik was another large producer but often did not mark their pottery. 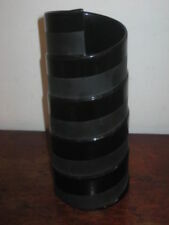 This is a decorative jug or jar, possibly for wine but makes a very attractive display piece. Made in a studio pottery in the Algarve, Portugal. It has been signed by the artist but I can't read it. Talavera Ebora Spanish Red Clay vase. Hand Painted Blue & White. Small glaze pop or glaze chip to top rim (not uncommon with this type of glaze). Six Hungarian Authentic Folk Art 11 Cms Wall Plates Signed By Artist Karcolt Koran on Base of each. All different. 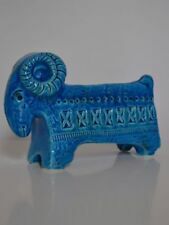 Purchased many years ago from the Folkart Centrum in Budapest. Each has been pierced with hole for wall hanging. 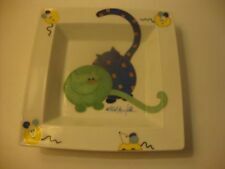 Alternatively are suitable to use as small snack plates or coasters. All international sales will automatically be shipped through the Global Shipping Programme. An attractive pottery flower frog in the style of Iberian potters of the 17th century. Made by Estefan de Conimbriga of Portugal in the late 1970's or 80's. With holes for 22 flowers this makes an impressive table centrepiece. Hand painted. 8 cm high. 22 cm across. The iconic series is characterised by their irregular texture and vivid blue colouring. Beautiful Artisan Studio Pottery Decorative Wall Plate - Hand Painted Twin Girls. Of MUSHROOMS. Lovely stylized representation of Mushrooms growing in the Forest. WALL PLAQUE. Ceramic hanging. Hand painted. Almost New Very Good. “ 1990s? ”. 1.5cm Thick. A beautifully hand painted scene in a romantic style. 'Knight returning home from his crusades' Probably Rhodes Old Town influenced. Signed on the back. In great vintage condition. No chips or cracks. See all the photos for proof of condition. Measures 31cms diameter UK postage only. Use global shipping programme for international postage through ebay. Will be proof of postage and GPO tracked. Free local collection available. 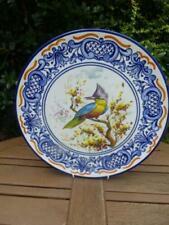 Beautiful Italian Hand Painted Traditional Majolica Wall Plate - Cockerel Design. Item location UK. Art Pottery vase. label attached. Condition: VERY Good. Handmade In Switzerland. You will receive both plates. VINTAGE BEVELLED, MEDITERRANEAN PICKLE JAR. PERFECT FOR REPURPOSING AS A VASE. PERFECT FOR REPURPOSING AS A VASE, OR DISPLAYING A COLLECTION OF SHELLS, FIR CONES OR SIMILAR. The shapedbevelled vertical sections distort light in an imaginative way, making these perfect for repurposing as a vase. HNOS MARTINEZ SL. A beautiful set of matching hand painted vases/planter from Spain by HNOS Martinez S.L. These date from the late 1980s/early 1990s and are in excellent condition. They would look great indoors or out, especially with plants or fresh/dried flowers inside. 3 Pint Capacity. Important Notice. This pretty french vase is made by Coomans Faiences De Roanne. The green has a lustre finish so there are flashes of other colors. The decor is floral gilt all around the vase. Price: £65.00. TOILES-DU-SOLEIL NAPKIN FOR DISPLAY PURPOSES ONLY, ANDNOT INCLUDED. Hand written backstamp 'S. Gimignano 791/15'. A Large Crackle Glazed Faience Style Vase with Armorial Design to Front & Rear. The vase gives the appearance of European manufacture but may also be Chinese. It is in good condition without any damage I can detect & measures 6.75" (17cm) from handle to handle x 12" (30.5cm) tall & weighs 1965 grams. Jug is: 12cm High. 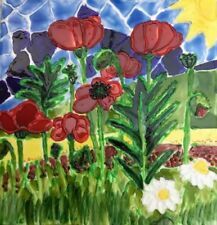 They are hand made pottery and have been hand painted and glazed. I bought them in Budapest many years ago and they have been living on top of a shelf since. They are in very good condition with no cracks and very little crazing to the glaze. Delightful Hand Painted Folk Art Style Italian Pottery Spoon Rest by ATN. Perfect for use or can also be hung on a wall with the addition of a little picture wire using the moulded hole on the back. It is stamped Wiza Poland, and is hand painted.